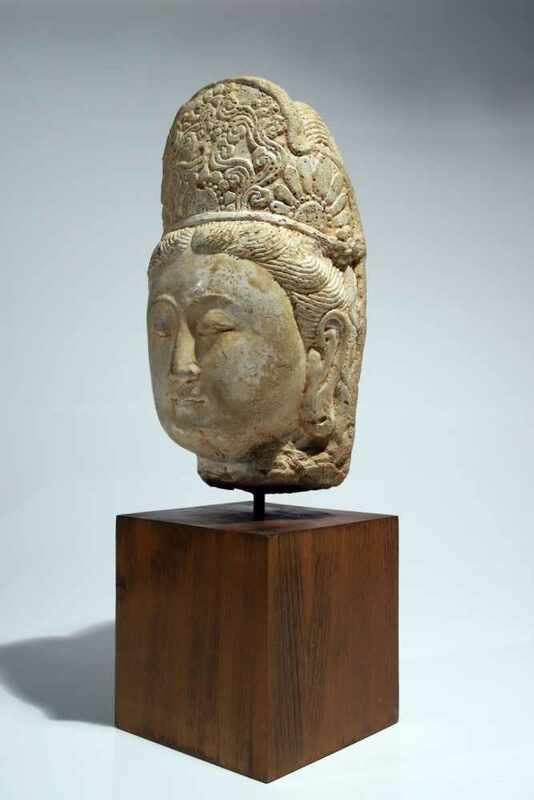 This beautifully modeled head of a Guanyin shows the splendor of Buddhist sculpture of the Song Dynasty. 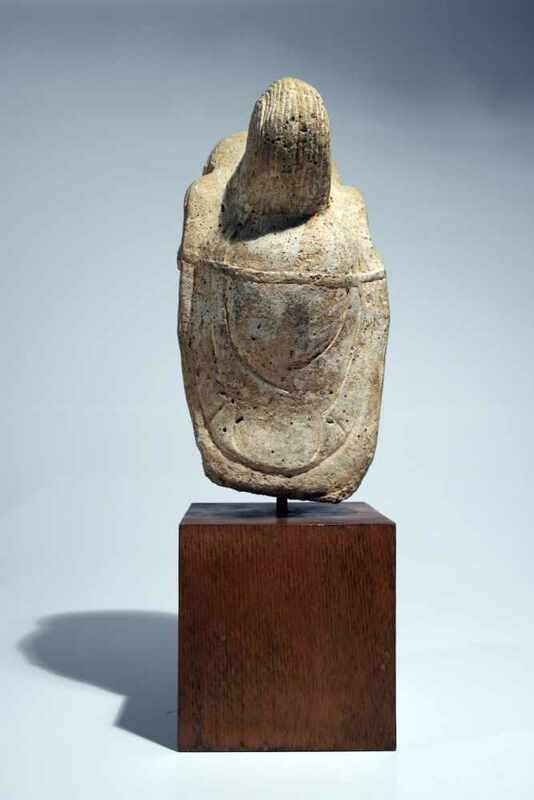 With a fleshy, oval face, the eyes are almost closed and a benign smile is playing on the lips. 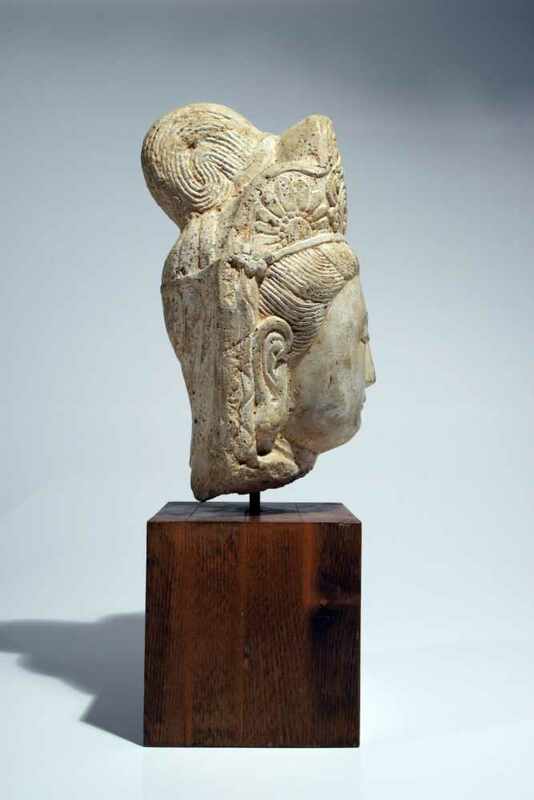 The hair are chiseled with much detail, showing single hairs made up into strands. 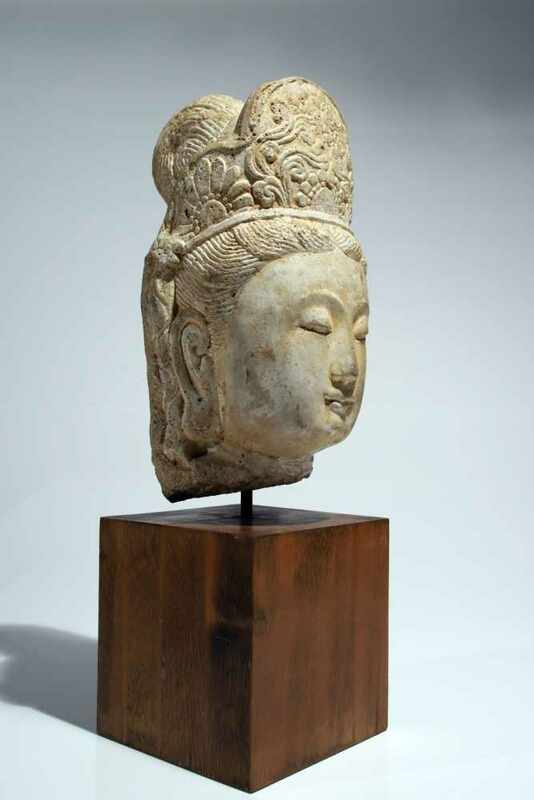 The Guanyin is wearing a crown with finely worked decorations of wavy forms and flowers. The face is flanked by pendolous earlobes without any jewellery. 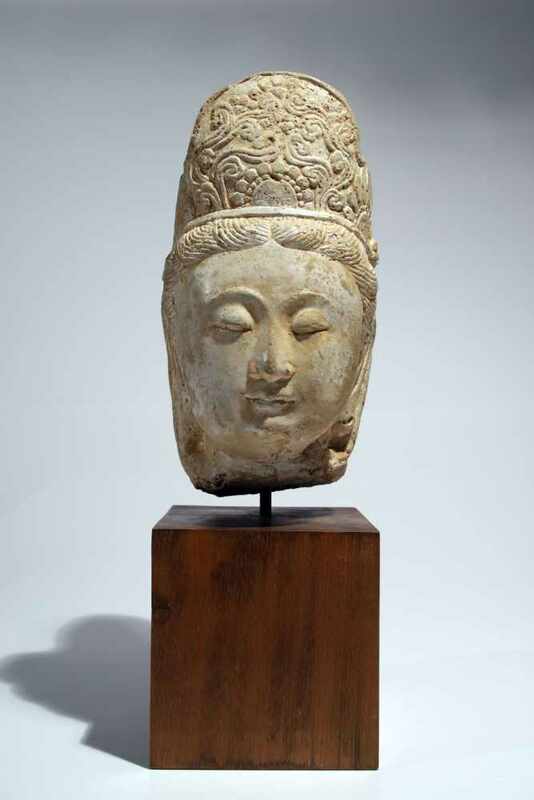 The head was probably severed from a standing figure and is now attached on a higher wooden base, but still a graceful benevolence emanates from this meditative appearance.